In October 2014, director Lukas Schrank, made phone contact with the men, who were able to tell their stories from within the compound. Their interviews offer a chilling insight into the reality of life for the 2200 people currently being held in Australia’s offshore detention centres. Our detainees speak of their struggle for survival, and attempts to avoid persecution in their home countries by seeking refuge in Australia. But like so many others, their journeys are ill fated. 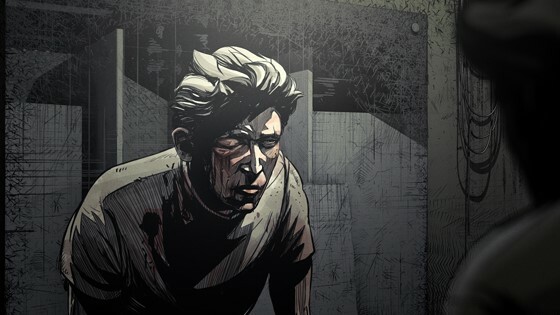 Their stories are the voice of the film, guiding the animation through the back-streets of Jakarta, across the sea, and deep into the fenced facility of the Manus Island Regional Processing Centre - the regrettable home for the men for the last 16 months. On February 17th 2014, the Centre erupted in violent conflict between the locals and the detainees. Hundreds of detainees experienced serious injury, and 23 year-old Iranian asylum seeker Reza Berati lost his life. Nowhere Line tells the story of that night from inside of the facility’s fences. By illustrating these journeys and giving air to their stories, this documentary short illuminates the compelling personal side to the human rights crisis faced by those seeking asylum in Australia. It reminds the audience that the search for asylum is but the search for survival.